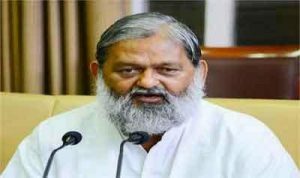 Chandigarh: Government doctors in Haryana holding administrative posts will have to undertake clinical duties in state-run hospitals, Health Minister Anil Vij said today. This includes doctors from the Haryana civil medical and dental services, and District ayurvedic officers. This decision has been taken to ensure quality healthcare services and availability of doctors at government hospitals, he said here. The minister said they doing OPD duties will not only help meeting the requirement of doctors, but also provide relief to patient coming to state-run hospitals. However, these orders would not be applicable for doctors working in other departments on deputation, Vij clarified. In case, a doctor is unable to perform this duty, the person would be given additional work the following week, he said in an official release. The health minister said as per this decision, the director general or additional director general of health would have to do clinical work for two hours on any one day in a week. Civil surgeons and other officers holding equivalent ranks would have to do this work one day in a week, he said. Principal medical officers, medical superintendents, deputy civil surgeons, senior medical officers and other officers holding equivalent ranks would also have to perform this duty for two days in a week, Vij said. He said apart from this, deputy directors, senior medical officers, medical officers and dental surgeons posted in the Directorate of Health, National Health Mission, Haryana Medical Services Corporation Limited, Haryana State Health Resource Centre, State AIDS Control Society and State Institute of Health and Family Welfare would perform clinical duty for two days in a week. The same would apply to district ayurvedic officers of the AYUSH department, Vij said. He said doctors holding these administrative posts would be allowed to choose a hospital to undertake clinical duty. The director general of health would maintain the complete record of clinical duty undertaken by these doctors. Strict action would be taken as per the rules against doctors who do not perform this duty, the minister said. No additional honorarium would be given to the doctors for this work. However, they would be given TA/DA for performing the duty at any other place. Inspection reports in this regard would be prepared every week, he added. Clean obese administrative officer..kam chor.